메델린에서 여행하기 편리한 호텔을 찾고 계신다면 Hotel Nutibara 만큼 좋은 곳이 없습니다. 이곳에서 생생한 도시의 모든것을 쉽게 즐기실 수 있습니다. 호텔은 프라졸레타 드 라스 에스쿨투라, 무세오 드 안티오키아, 소셜 리얼리스트-인스파이어드 무랄 같이 셀수 없이 많은 관광지에서 한 걸음 움직이면 편안한 휴식처가 되어 주는 곳입니다. Hotel Nutibara에서 훌륭한 서비스와 우수한 시설이 잊을 수 없는 여행이 될겁니다. 호텔에는 최고의 특색을 가진 카지노, 24시간 프런트 데스크, 여행 가방 보관, 공항 셔틀 서비스, 회의시설도 있습니다. 모든 숙박시설에는 생활 편의시설이 마련되어 있어 더할나위 없이 편하게 보내실 수 있습니다. 호텔에서 지내는 동안 레크레이션 시설 등 풍부한 시설을 이용하실 수 있습니다. 즐거움을 주는 비교할 수 없는 서비스와 진정한 일류를 제공하는 Hotel Nutibara. Great place to discover the old Medellin. It’s old and it’s in the heart of the old city. A good stay,but the internet sucked. From the beginning on I loved every minute of my 2 nights stay. Check in was fast and easy. Staff was very friendly and competent. I got everything I asked for: nonsmoking room on a higher floor with view over the city although I booked the cheapest category. They are doing a lot of improvements, renovation is on the way, but I couldn't hear any noise. Lobby area is ready, gym & sauna are closed for renovation at the moment, pool is opened. Breakfast is served in a room where work is not finished yet. Breakfast itself is weak, not much choice and coffee and hot chocolate are the worst I have ever tasted. 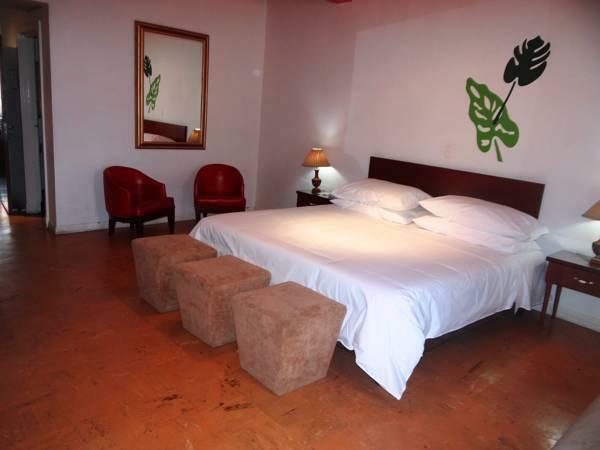 Nevertheless I strongly recommend this hotel to people who want to see Medellin as it is. A bustling, colourful city filled with life and welcoming people and despite all the other reviews, the area is safe, day and night. I would definitely stay there again. The only thing good about this hotel was location. As I stated before, location was the only good thing about this hotel. Receptionist at front desk was poor...The food was ok...nothing special. The rooms were bare but clean. The hallways were dark and cold. I felt the elevator would stop working every time we used. This hotel has much potential...A major facelift is needed. The hotel years ago must have been very nice. The area around the hotel is dangerous in the evening and you must be aware during the day. The lobby level is under renovation which is good for the future but tough for this review. Who ever rated this hotel 4 stars has done agoda users a disservice. I was on a high floor, but many nights there were no lights in the hallways..None. it was scary just going from the elevator to your room. The rooms were satisfactory and the staff was attentive. Plaza Botero was interesting and the train and airport shuttles were right there also. Found the hotel staff to be very helpful throughout, although the bar and restaurant closed a little too early for my liking. However, the location is great with the bar/cafe area overlooking the streets so is perfect for people- watching. The main drawback is that once rush hour is over the surrounding areas become a little seedy and the nearby streetsare not well lit at night. The hotel itself could do with a makeover, but it would be a shame to alter the general feel of what was once obviously a magnificent hotel in its heyday. had a very enjoyable stay. Staff was always on hands and very approchable. 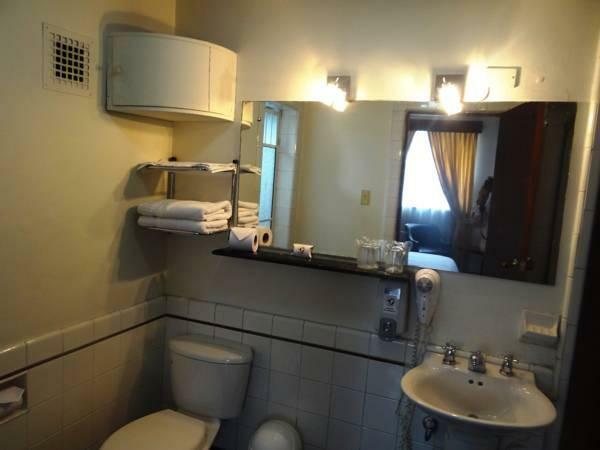 Location is right in the centre of Medellin , easy to move around by walking and public transport is just on hand ( metro , Buses). definately would reccomend the hotel. The centre of the city; musea close by; a hotel to feel at home, not perfect with some stupid wrong things, but a very warm atmosfere. Noisy and it needs an upgrade to have some more modern comfort, but, please, not too much. i staid here a year ago and wanted to come back; however my business partners living in the more expensive region of medellin told me that it was not safe in nutibara and moreover, it would be complicated to communicate with them in the evenings. the last information convinced me to rent a room in such an international, all over the world the same,hotel. boring! after 4 nights i went to nutibara and the first night i thought: "why i wanted this??" the next morning i took a stroll around, having a coffee, a newspaper, a haircut, walking on the foodmarket and thought: "i know why, here i feel alive!!!" 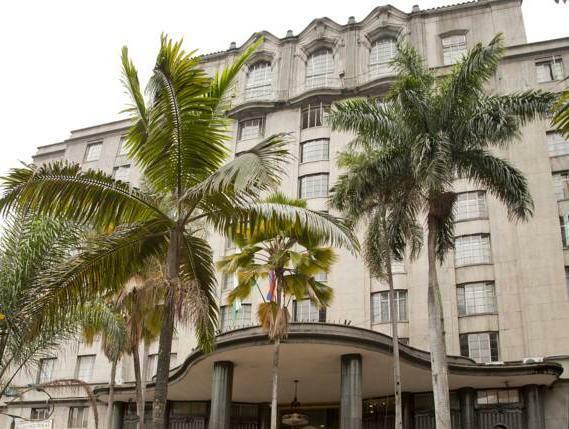 hotel nutibara is located in the centre of the city, close to 2 musea a metro station and a small park with a lot of very special bronze sculptures, made by the famous sculpturer botero. very different from the more expensive and pretentious hotels, you walk out of the entrance and you`re able to feel medellin, have a cup of coffee, have a stroll around the food market and feel a connection with the people. in the nutibara hotel you're in medellin; in the other hotels, you're just in some international place to sleep and eat and that are the same all over the world. hotel nutibara is not at all expensive and the swimming pool is good and the gym has been strongly improved. hotel nutibara is rather old fashioned and so the windows are not closing completely; it's a bit noisy, but i slept very well, as i like big cities, vibrating with life; in hotel nutibara you will not stay when you need to rest and when you mind noise. all things need an upgrade, but the kitchen and the breakfast are ok.
an einer verkehrsreichen und sehr lauten Kreuzung gelegen. leider Fehler in der Schlussabrechnung, die nicht sein müssten! hilfreiche Bedienung in der Rezeption, hoefliche Art, Zimmer sehr passabel. keine Internetmoeglichkeit ohne Laptop, Fruehstueck etwas zu sparsam proportioniert, keine freie Entnahme beim Fruehstueck. El hotel es excelente. Lo triste es estar en una zona peligrosa y de mucho indigente. ES ESTRATEGICO POR SU UBICACIÓN Y CERCANIAS CON EL METRO. Me senti muy comoda en el hotel, porque se me facilito para mis propositas y ademas con una tarifa muy accequible y buena atencion.